Blogs have been around for a few years (a long time as internet lifetimes go), but I find that many people, even among the tech-savvy, are still unclear on what a blog is. This is understandable when you see that a recent survey showed that only 24% of U.S. consumers used blogs in 2008. (Though that was a 100% increase from 2006). A few days ago I was asked "What is the difference between a blog and a website"? Hopefully, after reading this post, you will be able to answer that question and also know how to subscribe this (and other) blogs. My first answer to this question is from the perspective of a content creator, or blogger in this case. The most distinctive feature of a blog for me is the immediacy and general ease of publishing. Blog sites are designed to get information up on the internet and out to readers fast! You don't need to know any html or XML to create a blog, though it can help when you get into incorporating more than just text. The second distinctive feature of blogs is that they are designed to be interactive, to support discussions rather than just sending information one-way. The immediacy comes from something represented by the funny symbol at the top of this post: the concept of RSS feeds, or Real Simple Syndication. Blogs utilize RSS to push content out to blog readers nearly as soon as the blog is written. RSS enables you to be alerted as soon as something new is written, rather than having to search for updates on a website. Let's look at how that works. Say, for example, that you would like to subscribe to The World is Analog so that you never miss when I post a new article. If you have a Google or Yahoo email account, then you also have the ability to create a personal "My Yahoo" or "iGoogle" home page with customized content. Both services offer a variety of content from conventional news sources when you setup the page, but to add most blogs you will want to do it from the blog site. So let's pick "add to Google". A window like this will appear, with the choice of adding to your Google homepage or directly to a Google blog reader. I prefer the former myself, since I like to see the list of headlines in the RSS feed widget, which then lets me click to go to the original blog page. The latter works fine as well, but the blog readers will not show you comments or other features that the author may have placed on their blog site. Speaking of comments, that is where the interactive social-networking aspect comes in. You will notice in the "Subscribe to The World is Analog" box that there is a separate pulldown for comments. Comments have their own RSS feed, and you can subscribe to the comment feed in exactly the same way as the main blog RSS feed. There are a couple other convenient ways to subscribe as well. Maybe you don't have a lot of other RSS content that you want to look at, or you would rather be notified directly that a new post is available. You can also subscribe to the RSS feed via email. 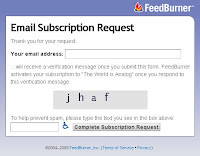 This box shows the email subscription form for this blog. With an email subscription, the complete content of every blog post is sent directly to your inbox. 1. On the Tools menu, click Account Settings. 2. On the RSS Feeds tab, click New. the RSS Feed. 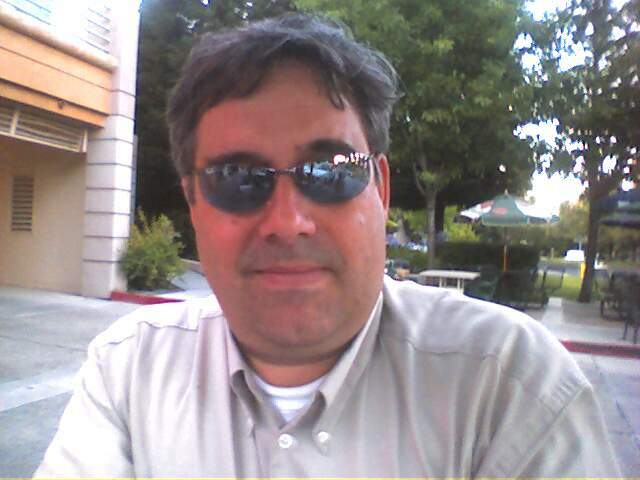 For example, http://www.example.com/feed/main.xml. As my friends learn this, I'm reminded of the words of William Gibson. (per wikiquote in an NPR interview) "the future is already here, its just not very evenly distributed." Mike, I think a blog should be the basis for your website. Any of the modern blogging platforms support both posts and pages and can act as a low cost content management system. I would encourage folks to get their own domain and build reputation/links/brand on something they own and can expand.